Natalie Mannix-Never Shaken; Always Stirring…. It might seem an impossible mission for some; patch the hole left by the departure of Vern and Jan Kagarice at UNT. Call in Navy specialist Natalie Mannix, recruited from Juilliard by way of Michigan, and your problem is well on its way to being solved. Graceful, assured, powerful, never shaken, and stirring! 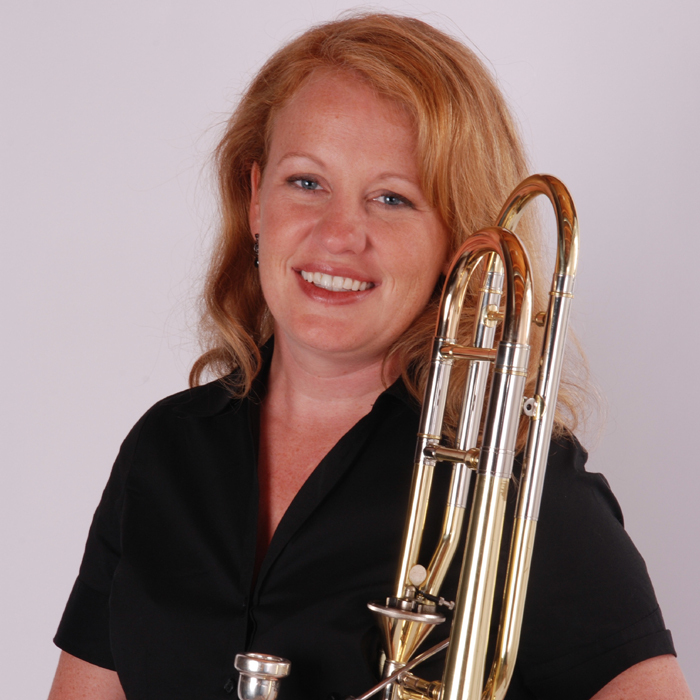 “1385” tm, the tenor trombonist interview series, heads ashore with Ms. Mannix….Enjoy! 1. What was it like to attend a “Public Ivy” such as Michigan, and how have you found your liberal arts preparation valuable? Going to a large university was such an important part of my growth as a person and a musician. I have always been interested in many things, so much so that I wasn’t ready to pour all of my energies into trombone at that age. I wanted to experience everything, and I guess I can still stay that. I played in the marching band and hockey band for two years, joined clubs, went to parties with friends, worked toward a pre-med degree, held five part-time jobs and cheered on sports teams. I had a lot of fun but worked very hard. In order to pursue both degrees, I took an overload of credits and took classes two summers. I received a very well-rounded education and enjoyed so many experiences that prepared me for life and the sacrifice of spending the next two years in a practice room. 2. You were ensconced and successful in the DC area, with friends and a hard won reputation. Why North Texas, and how do you see the mission of that school and it’s lauded trombone studio? I loved my life and career in the Baltimore/DC area, but I thought a new adventure would be very rewarding. I would not have made such a big change for just anywhere. The reputation and culture of UNT really excited me. When I interviewed there I was so impressed with the support from the administration and the faculty members, and the students were so excited to learn. One thing I love about UNT is the autonomy given to the professors to design a curriculum for their students. We have three professors in the trombone studio, five teaching fellows and an adjunct jazz professor. Because of the size of our department, we are able to offer many choices to the students: four trombone choirs, nine trombone quartets, an orchestral excerpt class, a low brass section excerpt class, jazz fundamentals, trombone literature and trombone pedagogy, not to mention the offerings outside the trombone area. We put equal importance on classical and jazz studies since we want our students to be well-rounded musicians when they graduate. The college of music encourages this and offers additional innovative programs to help students be marketable when they graduate, like music entrepreneuriship and performing health. 3. What do you think are the biggest factors that lead to a successful career in music during the transition of having just graduated college with a Bachelor or Masters? Keep learning! Musicians need to be life-long students in order to be successful. Now that your teachers and friends from college are no longer there all the time, you need to be self-motivated. Go to concerts, take every gig that comes your way, meet people, start your own ensembles, take lessons with professionals in the area, start a teaching studio. If you love it and have the passion to succeed, all of this will be fulfilling. You never know what opportunity will lead to something else. If you are on the orchestra/band performing path, keep taking auditions. Don’t be discouraged by a few negative results. Many trombonists have won great jobs after losing auditions. Be open to ancillary paths that may lead to a musically fulfilling career outside of the one you imagined. 4. What is your secret to a good legato? The answer for me is part mental, part physical. Dennis Smith, my teacher at Michigan, had the most silky smooth legato. I can still hear it. Every time I hear a soloist play with great legato or a singer shape a beautiful phrase, I try to take a mental recording of it. Imitation has always been a very important part of my learning. For the physical execution of legato, the projection and smoothness of the air stream makes all the difference. If the air has someplace to aim, it becomes smoother and more beautiful. Always focus on the music! Every note goes or comes back from a musical peak in the phrase. For some players, the coordination of slide and tongue is problematic. Record yourself often! Many slide connection problems become obvious when hearing your playing back. 5. What did you learn recording a CD? What would you do the same and differently next time? I learned that it is nearly impossible to get everything perfect, and that is ok! I am hard on myself when listening to takes. It is especially difficult in a dry recording studio where you hear every little thing. If I record another CD, I would record in a nice hall with good acoustics. It would allow me to enjoy the music more and direct the focus away from my critical thoughts. As I went, I got better at thinking less and focusing on the music more. What I set out to do was get people excited about new composers and new music. To me, that is the most important and rewarding part of recording and performing. 6. What has your rich career in the military added to your resilience and outlook that you emphasize to students? There were many days in the Navy Band that I struggled with fatigue, the weather or the physical demands. At the end of the day though, I always tried to remember how grateful I was to be able to play trombone for a living. After all, how many people can say that? I try to carry that gratitude with me in every part of my life. It keeps things in perspective. We may find ourselves on some pretty terrible gigs (I once marched dressed like a clown in a rainy parade through Newark, NJ! ), but we are still lucky to do what we want for a living. On the same note, I hate to see students take the trombone so seriously that they are brought to tears or depression. Being grateful and remembering the original joy in making music can help with that mindset. 7. When you arrived at Juilliard, did you have the feeling that you should have been there all along, or were you glad that you saved it for grad school? I am so glad I saved it for grad school. I don’t know if I would have seen it through if I went when I was 18. I didn’t know what I wanted yet, and I wanted to try everything first. I did not have the discipline and drive to put enough hours in the practice room. It was hard enough at the age of 22 when I was totally committed. That being said, what great training it was! The attention I gave the trombone in those two years and everything I learned from Joe Alessi is the basis for everything I can do now. 8. How have your accomplishments on euphonium colored your perspectives on trombone? Euphonium players tend to orient as soloists, where as trombonists are more ensembley oriented as a rule. I have always been more drawn to solo playing. I fell in love with euphonium for this reason, and I much prefer playing it over trombone in any wind ensemble because of it’s melodic solo lines. I was a self-taught euphonium player. When I competed in the Falcone competition at the age of 18, I didn’t have a teacher, so I listened and played along with recordings to learn the style. At first I borrowed musicality from great soloists then ultimately developed my own. This was great musical training for the trombone. Even in the uniformity of orchestral playing, phrasing and musical style are just as important. Every note has to be musical. 9. How do you achieve such consistent articulation, and what is your ideal of beauty with regards to articulation? In training to be an orchestral trombonist, consistency is everything: repetitive, but concentrated practice of fundamentals. I used to do attack exercises from the Marsteller Daily Routines book, and if I missed an attack I would start from the beginning. Joe Alessi later reinforced this attention to detail and focused concentration. I took it to a whole new level by playing Arbans every day for three years. I guess you can say that I am a recovering perfectionist! A beautiful articulation is one that isn’t noticed! The tongue is just a release valve for the air and sound. I use a “do” tongue for most everything, unless needing more percussiveness for contrasting style. Variety in articulation, as well as color and dynamics, are the key to playing expressively. I strive for consistency, so that I always make intentional decisions in the execution of beautiful music. 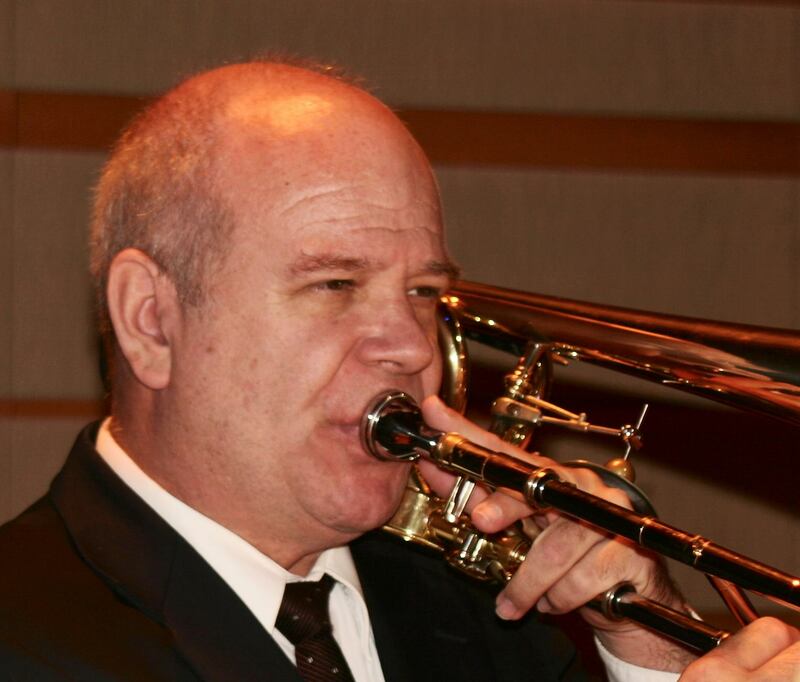 Interested in more great interviews of tenor trombonists?